Hey y'all and happy Monday! We had the busiest (but fun) weekend so I'm coming in hot with a big ole' photo dump. On top of Andi's preK open house (which went so well!) 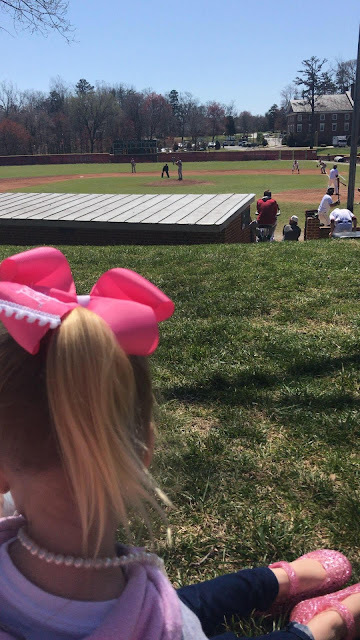 AND adding a new addition to our family in the form of a fish named Gil (Thanks Afa -- my Dad haha) we squeezed in our first baseball game of the season and the weather was absolutely perfect. We had some friends join us with their kiddos and afterwards went back to our house to test out the new patio furniture. They snagged chips and salsa from a local restaurant and we picked up some beer and while the kiddos ran around in the yard, we all did some porch sittin' - seriously nothing better! please don't look at my nails! Easter Sunday was fabulous as well. We had a packed church and wonderful service and afterwards we headed to my aunt's house for Easter lunch. I made an asparagus and ricotta cheese tart with a strawberry cake and I'll share recipe on Wednesday! (yum!) 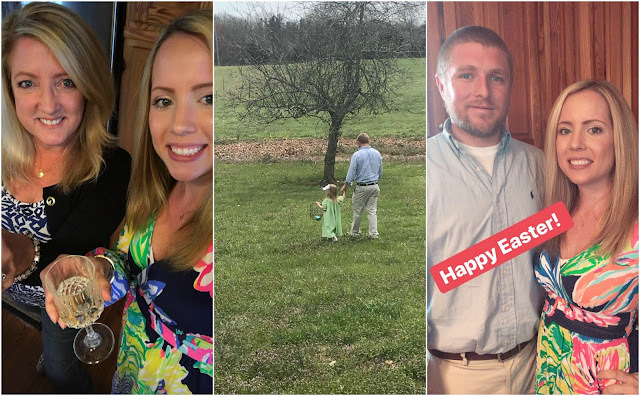 A few hours later we headed to my in-laws for Easter dinner so we definitely ate our fair share of good food. We got home around 7:30 and although we were exhausted, we managed to watch a couple shows before jumping in bed. All and all the weather, company, family time and weekend was just what we needed! 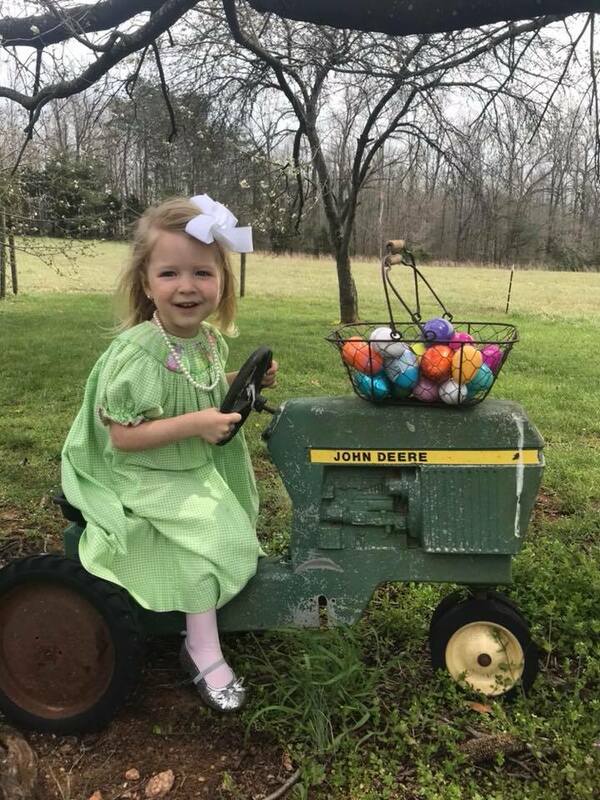 Ok that picture of Miss Andi on the little John Deere is the cutest picture ever!! I can't believe how fast she is growing up!! 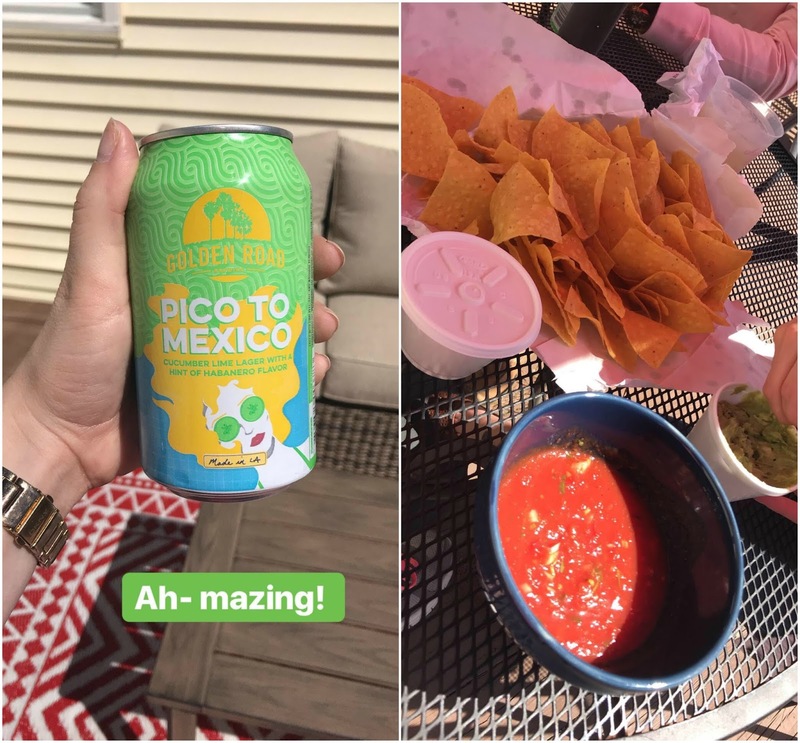 Sounds like a glorious time with that delicious sounding beer and chips and salsa! I love the pic of her on the tractor, so fun! 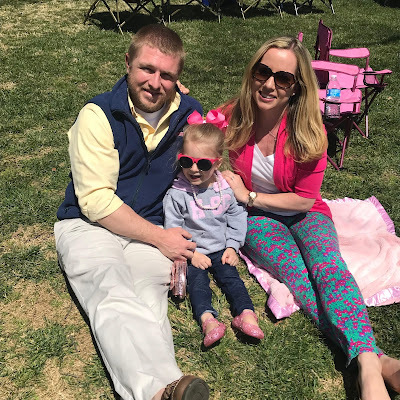 What a glorious weekend, cheers to Easter with family! Time with family, friends, beautiful weather, a great Pre-K open house, and a new fish - what a fun and fantastic weekend you enjoyed!! Hooray for that!! Hope the week ahead is every bit as beautiful! xoxo! So cute! What a fun Easter weekend! Looks like a really nice weekend! Drinking outside is always a win--that beer sounds interesting! 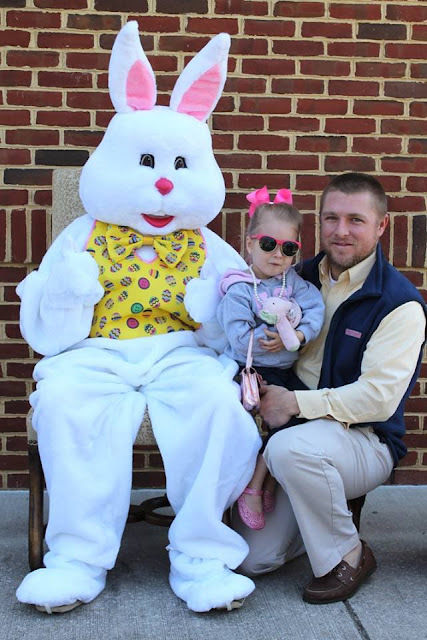 What a wonderful Easter weekend!! Love the new fish - so adorable! I also tried that beer & loved it. I dig most beers by Golden Road Brewery!